Spotted Le Boyfie who just bought a bunch of churros from Churreria La Lola. 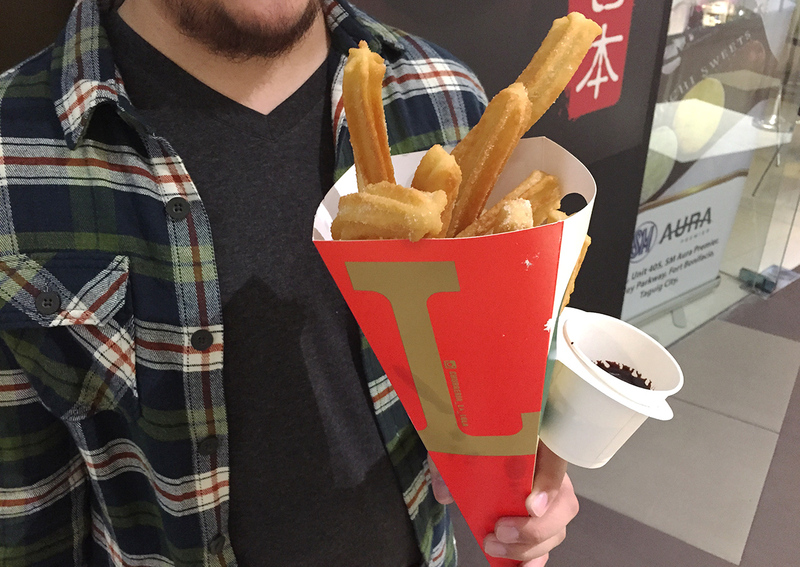 I’ve found the right guy who thinks of buying me a bouquet of tasty churros instead of flowers. Lol. Asked him to a photo taken with le Churreria La Lola churros. There is usually a long line of people at La Lola Churreria. The first time I set foot in SM Aura I spotted a line of people without knowing about La Lola Churreria yet so I skipped it back then. 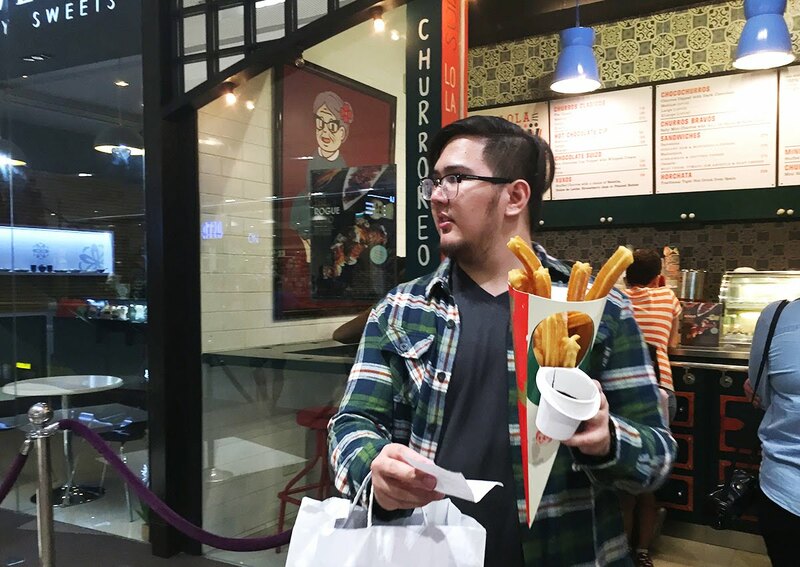 It was from The Booky Report ‘Top 10 Most Loved Restaurants in Makati for April 2015′ article that made me curious and craving for Churreria La Lola. 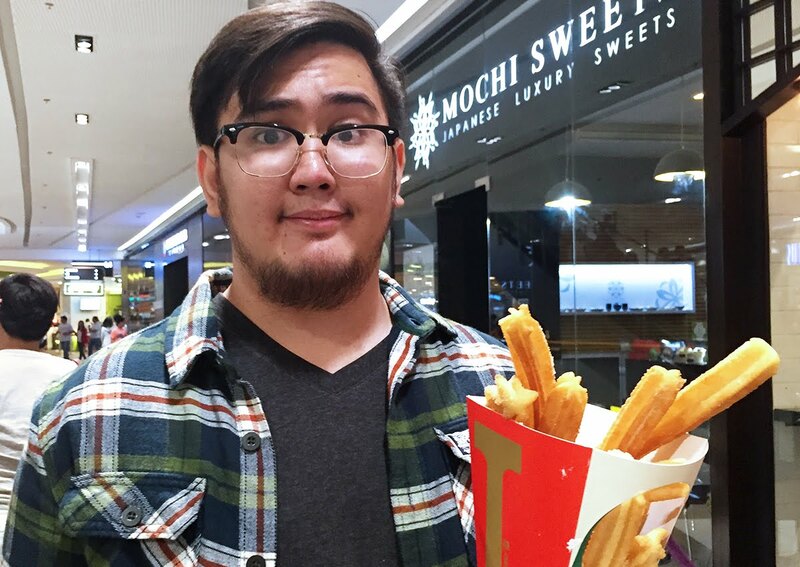 I was able to try it when both Patrick and our friend Igy bought large order of churros from Churreria La Lola. Patrick got the large one because he knew I would like it. He was absolutely right! Churreria La Lolas churros is perfect for the dessert lover in me. Me, Patrick and three of our friends weren’t able to finish two of the large churros. Hahaha. It’s either the five of us weren’t up for it or the serving of churros is big. Totally worth the price. 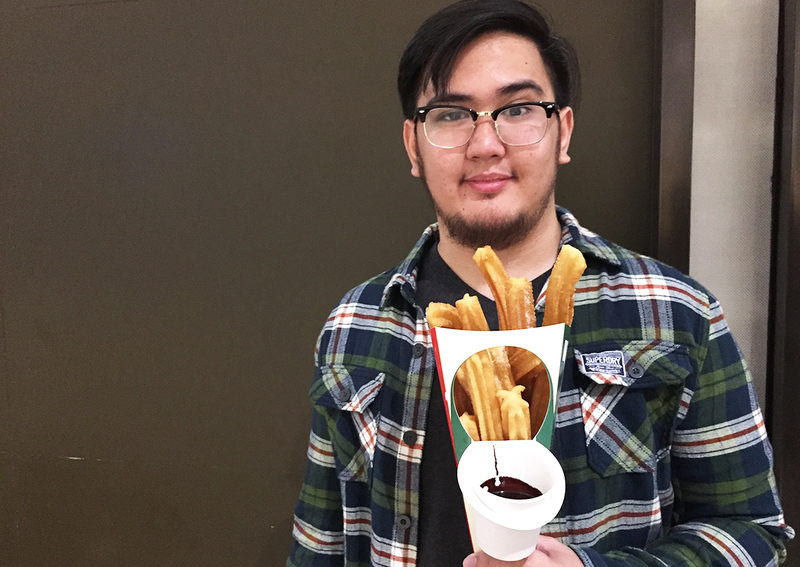 I’m not sure if Patrick got the Large Churros Classicos (P195.00). Thank you so much hon for letting me try Churreria La Lolas churros!! Love love you.. I hope you don’t mind me posting you on my blog. Check out Zomato for Churreria La Lola Menu.